My intellectual interest is in a broad field known as Building Data-Driven Decision Support Systems, that is, the well-focused consecutive thought process based on measurable and numerical scales to improve strategic decisions in the design, operation, and controlling complex man-made systems, such as an airport. Models transform the managerial inputs into useful information for managerial decision. I received my higher-education degrees, all concentrated on modeling, from three different continents. My first degree is in Physics, which deals with the modeling of nature; the second is in Management Science, which consists of modeling human activities in general. Finally, my doctoral degree is in General Operations Research, which covers all aspects of modeling in every scientific field of studies. The growing trends in interventional managerial decision-making increasingly utilize applications of more than one technique and involve individuals from other disciplines. Moreover, they involve a blend of"hard" and "soft" as well as a mixing of different "hard" or"soft" techniques with the increasing use of multiple methods within one piece of analysis. A creative thinking must look in detail at how those from disciplines outside of Operations Research can come to work in the organizations on multi-disciplinary studies. Those who have come from such backgrounds, clearly share their perspectives and experiences. by finding the scopes and limitations. I am myself what is called an original thinker, my business being to question and test all the established decision sciences managerial tools to see how far they are still valid and how far worn out or superseded, and even to provide unifications, easy to understand, easy to implement and provide useful information for the managers. The decision making framework and tools often combine optimization theory, discrete event simulation, and probability and statistics. For, example during recent years, competitive pressures and short product lifecycles have caused many manufacturing and retail companies to focus on supply chain management practices and applications. Continuing shifts in the geopolitical situation and emerging markets have opened up new business opportunities, and at the same time kept companies busy revising their supply chain structures, manufacturing locations, warehouse locations, inbound logistics, and distribution operations. This has led to an increased demand in strategic supply chain planning tools, such as supply chain simulators and location optimization tools. My teaching, research, and professional services activities are multidisciplinary, interdisciplinary, and transdisciplinary which include: General Optimization, Systems Simulation, and Statistical Data Analysis. My journal publications on the above topics, show consistency without any gaps, not even a single year, since 1983; the year I joined the University of ore and completion of my post-doctoral studies. As for my teaching ability, I am well known for teaching difficult concepts at appropriate levels that can be understood by my students. My ability in humanizing the complex conceptual topics enables me to convey them in a clear simple language, therefore, become transparent for my students in an understandable way. My cardinal aim in constructing model-based decision support systems is to provide models for the managers which are easy to understand, easy to use, while providing useful managerial information. As you know it well, the primary functions of universities are the transfer of useful knowledge and advancement of knowledge. The effective and widely used performance measure of any significant advancement of knowledge has been number of citations in multidisciplinary and interdisciplinary areas. The citations of significant research contributions in journals citations are the indication of advancement of knowledge and their impact on transfer of knowledge are the textbooks citations. MIS Institute of the AACSB. More information may be found at: World Cat, and other electronic databases. Aryamehr (Arya Mehr) University of Technology. Latest Overview From Merrick School of Business Online Faculty Directory: "Professor Hossein Arsham joined University of Baltimore in 1983 and has demonstrated his major contribution through his research and effective teaching abilities both in the classroom and online. His teaching, research, and professional services activities are multidisciplinary, interdisciplinary, and trans-disciplinary and include: general optimization, systems simulation, and statistical data analysis. His principal professional activities are in constructing model-based decision support systems that are understandable, easy to use, and provide useful managerial information. His work has been acknowledged for its contributions to his areas of decision making processes through numerous awards including: The Harry Y. Wright Chair for Distinguished Research, Regents' Faculty award for Excellence in Research and The CSX Chair. Dr. Arsham's perspectives and experiences have led him to combine the decision-making framework and tools to better understand and connect the gaps between optimization theory, discrete event simulation, and probability and statistics. He is also consistently up-to-date on the growing trends in interventional managerial decision-making; and its increasing utilization in applications. Dr. Arsham is also well-known for his teaching ability and students appreciate his insight of making difficult concepts understandable. Teaching has been an intricate part of Dr. Arsham's life at the University of Baltimore. He is considered a pioneer in online teaching." Dr. Arsham had another spectacular year and again proved himself to be one of the very finest faculty members in the University. He is truly outstanding in all three areas of evaluation and clearly deserves any recognition we can provide for his contribution to the School, the University, and his profession. He is the consummate college professor. We are truly fortunate to have Dr. Arsham on the Merrick School faculty. His teaching, research, and service are all clearly outstanding. He is an innovative, inspirational teacher -- committed to students, their learning, and our overall teaching mission. He continues to be one of the School's most prolific researchers. And his service to his profession and to the University is impressive and exemplary. Dr. Arsham's teaching is outstanding. He has proven to be a rigorous, effective classroom teacher who earns high student evaluations. His commitment to teaching is evidenced not only in the time he puts into classroom preparation, but also in his volunteering to serve as one of the Merrick School's first two web MBA instructors. His research continues to be outstanding. He is a truly prolific writer of quality, academic manuscripts. Dr. Arsham's service is also outstanding. He contributes in meaningful ways to both his profession and the University. "As The Wright Distinguished Professor in the Merrick School of Business, your colleagues were asked to assess your teaching, research, and service productivity. They concluded that your performance equaled the productivity of management science researchers at doctoral-granting universities. Please accept my sincere congratulations. I wish that all our faculty members were as dedicated as you are." A Chapter in a New Book: Management Science, Logistics, and Operations Research, Edited by John Wang, IGI-Global Publisher, Chapter 7, 96-127, 2014. A Chapter in a New Book: Analyzing Security, Trust, and Crime, IGI-Global Publisher, 2014.
International Journal of Mathematics in Operational Research, 5(6), 663-692, 2013.
International Journal of Enterprise Information Systems, 8(4), 77-98, 2012.
International Journal of Pure and Applied Mathematics, 79(4), 595-603, 2012.
International Journal of Strategic Decision Sciences, 3(3), 40-60, 2012. Omega: International Journal of Management Science, 37(4), 876-882, 2009. Journal of Information & Optimization Sciences, 29(1), 57-80, 2008. Applied Mathematics and Computation, 189(2), 1435-1447, 2007. Applied Mathematics and Computation, 188(1), 801-807, 2007. Applied Mathematics and Computation, 188(2), 1549-1561, 2007. Applied Mathematics and Computation, 188(1), 596-611, 2007.
International Journal of Pure and Applied Mathematics, 32(4), 549-564, 2006.
the Slovene Association of Operational Research, Zadnik-Stirn L., et. al. (Eds. ), 81-102, 2005. Applied Mathematics and Computation, 170(1), 36-63, 2005. The software to install is available at Linear Programs Solvers. International Journal of Pure and Applied Mathematics, 19(3), 393-413, 2005. Scientific Journal of Administrative Development, 2(1), 2-53, 2004. OPSEARCH: Journal of the Operational Research Society of India, 40(4), 305-319, 2003.
International Journal of Mathematical Education in Science & Technology, 34(3), 417-430, 2003. Applied Mathematics and Computation, 137(2-3), 525-547, 2003.
International Journal of Pure and Applied Mathematics, 4(1), 57-85, 2003. Applied Mathematics and Computation, 134(2-3), 345-361, 2003.
International Mathematical Forum, Former International Mathematical Journal, 1(1), 37-52, 2002.
a chapter in, Advances in Simulation, Systems Theory and Systems Engineering, edited by N. Matoraski, et. al., WSEAS Press, UK, 2002.
International Journal for Computational Methods in Engineering Science and Mechanics, 14(4), 343-353, 2013. Simulation: Transactions of the Society for Modeling and Simulation International, 89(2), 178-191, 2013. The Wiley Encyclopedia of Computer Science and Engineering, John Wiley & Sons, 1-17, 2010. Monte Carlo Methods and Applications, 13(3), 173-195, 2007. Organization: Journal of Management, Information Systems and Human Resource, 39(10), 626-634, 2006. Journal of Systems Science, 31(5), 563-573, 2000.
International Journal of Pure and Applied Mathematics, 82(4), 521-529, 2013. The International Encyclopedia of Statistical Science, Springer, Part 2, 87-88, 2011. The Journal of Global Business Issues, 2(2), 191-200, 2008. Journal of Business & Economics Research, 5(11), 31-42, 2007. PDF version. Pearson Custom Publisher, INSB: 0-536-75317-2, 2006. SySurvey: The Online Survey Tool, 2002. The BBC World Service, November 16, 2012. The Military Officer Magazine, 1(1), 36-40, 2003. Revista Inter-Forum, 16(3), 50-62, 2002. Articulo Invitado. The United States Distance Learning Association Journal, 16(3), 6-21. An invited leading feature article. Iraniha: Cultures and Groups, 1(1), 2002. The Pantaneto Forum, 2(5), 19 pages, 2002. The E-Learning Post, June, 2001. More information on conference proceedings may be found at: WorldCat, and other electronic databases. The 9thInternational Symposium on Operations Research, Proceedings, 117-121, Slovenia, 2007. The Annual Conference of the Northeast Decision Sciences Institute, Baltimore, MD, March 2007. Ed. N. Mastorakis, 1291-1296, 2002. The Open and Distance Learning, UK Open University, 2002. Ed. L. Lenart, et al., 133-138, 2001. NEWS AGE, March 5, 2003, Borno, Nigeria. A graphic presentation that appeared on the cover of The SpineLine Magazine, Vol. III, No. 3, 2002. A publication of The North American Spine Society. Grant Proposal Consulting HSD/ERCD-604-011, 2005. The Human and Social Dynamics. Grant Proposal Consulting ENG/DMII-443-537, 2002. Decision Theory with Applications to Engineering Design. Contributions to Simulation and Optimization. Questionnaire Design and Statistical Data Analysis for the Assessment of the Status of Current and Planned IT Environment. Optimization of Discrete-event Simulation Models: Single-Run-Based Approaches. A Prototype Decision Support System for Lab Inspection: Labs Selection, Routing, and Scheduling. Computational Aspect of Power Spectral Density for Coastal Zone Color Scanner Data. Most of published research work during this period are supported by these Internal Grants. Generalized K-S Goodness-of-Fit, (Doctoral Dissertation). Contract N00014-75-C-0729, Project NR 347 020, 1982. Numerical Methods for Transient Solution of Machine Repair Problem. A Computer Program for Testing Hypotheses for Distribution in Accelerated Life Tests. Contract N00014-75-C-0263, Project NR 042 372, 1981. User's Guide to a Computer Program for Testing Hypotheses for Distribution in Accelerated Life Tests. Contract N00014-75-C-0729, Project NR 052 125, 1980. Regression Analysis of Acquisition Cost of Naval Ships. System Simulation, Statistical Quality Control, Optimization in practice, Making Good decisions, Production and Operations Activity, Forecasting Techniques, Statistical Data Analysis, Survival Data Analysis, Decision Technologies, Logistic Regression Analysis, Software and Hardware Reliability, Management and Organization of Research and Development, Multivariate Data Analysis, Taguchi's Quality Control, Operations Research in Engineering Management. Kindly contact me for further information in designing and developing a successful workshop that meets your needs including the scope, purpose, and its duration. Thank you. Statistics and Quality Control for Industry: A workshop with a major objective of fostering statistical thinking and methods with applications in Iron and Steel Industry quality control, series of lectures delivered for the mid-level managers of the Bethlehem Steel Corporation, Sparrows Point Plant, Baltimore, Maryland. Stochastic Models with Applications: The aim of this workshop is to further develop various aspects of probabilistic and stochastic modeling and of problem-solving strategies under uncertainties as they are used in management science. Decision Technologies: Covering decision technologies with emphasis on stochastic models. A series of 15 lectures for the Republic of China Airforce officers at the Taipei, and Kaohsiung airforce bases. Introduction to Electronic Classrooms: A workshop designed and delivered to meet the e-learning needs of 30 participants from The American Physical Therapy Association. Making Good Strategic Decisions: The aim of this workshop is to develop some familiarity with the mathematical modeling approach to decision-making and with the fundamental methods used in management science (MS). Thus, its only ambition is to provide future managers with the basic elements which should allow them, on the one hand, to recognize situations where MS techniques can be useful, on the other hand, to gain a better understanding of the possibilities and limitations offered by this type of tools, and finally, to interpret correctly the conclusions which can be derived from such approaches. A three-weeks workshop delivered to the top level administrators and the faculty from Economics, Engineering, Life Science, Humanities, and Law school at the Universidad Nacional De Lomas De Zamora, Buenos Aires, Argentina. A three-weeks workshop delivered at the Universidad Mayor, Santiago, Chile. Taguchi's Quality Control: Sponsored Lecturers for a two-week workshop for the Malaysia Universities Faculty, Hosted by Universiti Teknologi Malaysia, Malaysia. Essential Data Analysis: This 2-day short course is aimed at all who need to learn about the classical methods of analyzing data. It is assumed that delegates on this course will have basic knowledge of probability and the Normal distribution. Those whose experience of these topics is some time in the past should find sufficient reminders given to enable them to participate fully. Intermediate/Refresher Course in Statistics: This 2-day course is a course aimed at all who wish to improve their competence and confidence in analyzing data from surveys and experiments. You are encouraged to bring your own data for discussion/analysis. It is assumed that delegates on this course will have a basic knowledge of probability, the Normal distribution and hypothesis testing. Those whose experience of these topics is some time in the past should find sufficient reminders given to enable them to participate fully. Higher Course in Statistics: This 2-day course is aimed at those with a working knowledge of statistics who wish to learn about or improve their competence and confidence in using more advanced methods of analyzing data. You are encouraged to bring your own data for discussion/analysis. It is assumed that delegates on this course will have basic knowledge of probability, the Normal distribution, and hypothesis testing and regression techniques. Those whose experience of these topics is some time in the past should find sufficient reminders given to enable them to participate fully. Modern Systems Simulation: Sponsored Lecturers for a two-week workshop for the Thai's Universities Faculty, Hosted by Thaksin University, Thailand. Foundation of Decision Science: Covering the foundations and genealogy of scientific methods pertaining to decision Science. Since decision-making is central to human activity, the significance of many disciplines involved were presented. While mathematical models often provide useful insight, they must be based on cognitive decision making in order to making choices within the limits of what the decision maker consciously knows. Among other human sides of computational modeling, the cognitive perspectives must constrain its practice. Delivered as a Distinguished Guest Lecture Series, at the Air Force Research Laboratory Information Directorate, Rome, New York. You may like to visit the Community of Science. The Journal of Global Good Governance, Ethics and Leaderships, Associate Editor, (2013- ). It will begin publishing in mid-2014. International Advisory Committee (2013- ). International Editorial Board Member (2013- ). Senior Associate Editor (2012- ). International Scientific Committee Member (2002- ). International Scientific Committee Member (1998- ). Senior Associate Editor (2004- ). Editorial Board Member (2008- ). Senior Associate Editor (2008- ). Senior Associate Editor (1997- ). Senior Associate Editor, Computational Statistics & Data Analysis, 1989-2005. Executive Peer-Reviewer, Educational Technology & Society Journal, 1997-2005.
International Scientific Committee Member, International Symposium on Adaptive Systems, 2001. Editorial Board Member, Journal of Business and Economics, 1988-1989. Associate Editor, Modeling and Simulation,, Vol. 23, 1992. Associate Editor, Journal of Applied Statistical Reasoning, 1997-2002. Editorial Board Member, International Journal of Operations & Quantitative Management, 1994-2012. Editorial Board Member, Journal of Applied Business Research, 1989-1993. Editorial Board Member, Journal of End User Computing, 1989-1996. Reviewer of books, book proposals on General Operations Research, Systems Modelling & Simulation, and Applied Probability & Statistics for the major publishers such as Cambridge University Press, and John Wiley &Sons, among others, since 1983. Department Major Committees: Library committee, Department Chair Search, Undergraduate Curriculum Review, Student Merit Awards, Business Advisory Council. The author and the examiner of Business Statistics since its inception. School of Business Major Committees: Accreditation (AACSB) Task Force, Research Award (Chair), Business Library, Tenure and Promotion, New Building Planning, Graduate Curriculum Review, Sabbatical Committee, Teaching Award (Chair), The Permanent Wavier Examiner for the MBA Business Statistic Course, Chairman of the Management Science Group, Interinstitutional Library Automation for University System of Maryland, Strategic Planning Committee, Endowed Chair Advisory Committee, Chairman of Scholarship Continuous Improvement Committee. Have Been Available to the university faculty, students and the School of Business alumni since 1983. Supervising doctoral dissertations, serving in doctoral committee for some national and international universities. Serving as Peers' tenure reviewer for some national universities by invitations. Students' Appreciations of Humanizing Difficult Concepts and Techniques: I am well known and recognized for my ability in teaching difficult concepts and technical topics at a level meaningful, relevant to and easily understood by my students. This ability is achieved over years by the means of humanizing the difficult concepts and technical topics. To implement this approach I often ask: Is it personally relevant and significant to my student? Is the student truly interested in the question? ....I met with a class of graduate students to solicit feedback from them about the School and their education here. I didn't ask them to name names, but one student wished out loud that all Merrick School professors might be as great as Dr. Arsham in the classroom. That comment was heartwarming, and I really appreciate all the effort and positive results you bring to all of us. As an engineer pursuing my MBA, I found Dr. Arsham's course on Business Statistics to be the most useful course I've taken to date at UB in bridging the gap between the technical world and that of the managerial. Dr. Arsham is able to bring numbers and statistics alive and give them meaning. As an instructor he is both disciplined and understanding of student needs. While he is uncompromising in his method of teaching and rigorous in his treatment of the material, he is also most forgiving as I grew as a student under his tutelage. In past courses I have never had difficulties with mathematics such as calculus or differential equations, but statistics and probability courses have always vexed me. For the first time in my life, Dr. Arsham has enabled me to grasp the elusive meaning and mechanics of statistical analysis. At this point I can honestly say that a well-founded knowledge of basic statistics may be the most important class a business student should consider taking. I HIGHLY recommend his course to any serious student who really wants to know how to analyze and understand statistics. Hosting Fulbright Visiting Scholars, e.g., recently from the Saint Petersburg University, Russia. Collaborating joyfully in research publications with over 30 local, national and international colleagues, since 1983. Liaison for The Institute for Operation Research and Management Science (INFORMS). Member of The Beacon Project, A management support organization volunteering for people with academic background to provide technical support to nonprofit organizations. Faculty Advisory Board Member, California National University. Faculty Advisory Board Member, Western Governors University. Faculty Member, Beta Gamma Sigma, The Honor Society for AACSB Accredited Business Programs. Faculty Member, Association for Information Systems. Faculty Member, Omega Rho, The International Honorary Society for OR. Participating in the OR/MS Speakers Program. Faculty Member, International Engineering Consortium. Plenary Sessions and Keynote Speaker: Being invited for delivering plenary sessions and keynote lectures at the scientific international conferences, such as, The 6th Meeting of The Federation of European Simulation Societies. "Hossein Arsham, Professor of Management Science in the Merrick School of Business has been invited to deliver a plenary lecture to the entire conference of EUROSIM. The EUROSIM is the federation of the European Modeling & Simulation Societies. Dr. Arsham was invited by the current President, and is the only American on the plenary lecture series. This invitation is an honor to him and to the University of Baltimore." Congratulations on this wonderful honor! You bring outstanding recognition to the Merrick School"
"Hossein Arsham, Harry Wright Distinguished Professor of Statistics and Management Science at the University of Baltimore. Arsham has amassed an outstanding record of publication. Most notably, he has done pioneering work that has enabled businesses to find 'exact' or desirable' solutions to problems with efficiency and enhanced speed in 'a single simulation run'. Since he joined the UB faculty, he has published more than 70 refereed articles and chapters on a host of topics in computational probability and statistics. During the last three years, he has published 28 journal articles and book chapters on discrete-event systems simulation, optimization with sensitivity analysis, and computational probability and statistics. His work has been cited in at least five books and at least 12 journal articles/book chapters. 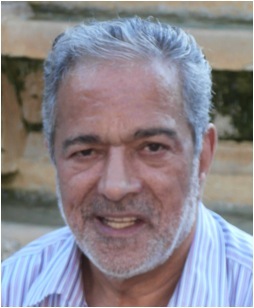 Arsham is currently the senior associate editor of Computational Statistics and Data Analysis, the official journal of the International Association of Statistical Computing, a section of the International Statistics Institute (one of the oldest scientific societies in the world); he has been an associate editor for the journal since 1989. Since 1997, he has been an associate editor of the Journal of Statistical Reasoning and an editor of both InterStat: Statistics on the Internet and the Journal of Interdisciplinary Mathematics. Arsham's accomplishments in research and scholarship have led to his selection for the Black and Decker Corporation Research Award for contributions to simulation and optimization. Additionally, he has been named a Fellow of the Royal Statistical Society, a Fellow of the Operational Research Society, and a Fellow of the Institute of Combinatorics and Its Applications. " ".....Dr. Arsham has expanded the traditional boundaries set for faculty members. On the research side, recognized by this latest honor; Dr. Arsham's works number easily in the hundreds with representation in a number of separate areas within Operations Research. Dr. Arsham's teaching record is also stellar, with many letters, e-mails and other communications of praise from students whose lives he touched with his ability and desire to educate. Dr. Arsham's drive to pursue excellence in all areas also manifests itself in his self-designed web courses, which he has shared as a model with other faculty members. The Merrick School simply would not be the school it is today, without the patient man we all know so well --- Dr. Hossein Arsham." The mission of the Merrick School of Business stresses the importance of high quality teaching. Through your hard work and dedication you have fulfilled this mission. Graduate students who took the survey have named you one of their top five professors. I am proud of your achievement and the contributions you have made toward educating our students. Each of us understands the value of excellent pedagogy. We value our time in a fast-paced business environment where we must meet the challenges of work and family responsibilities. By working hard to provide the best instruction possible you have added value to the time our students spend learning. Time is too valuable to be wasted and education is a prize possession. Informed, well-educated business people are an asset to our global economy. Join me in taking pride in the good you have done. I wish you continued success in your scholarly and pedagogical pursuits. Thank you for helping make UB stand out as a place of academic excellence. Good teachers are always remembered. They can make a world of difference. Dr. Hossein Arsham is one of the most productive, contributing members of the Merrick School faculty and is willing to do anything to help the School and University. Because of his continuing leadership and dedication his appointment as The Wright Research Professorship will be permanent. We anticipate that his splendid contribution to the University and his profession will continue. This is a well-deserved reward for a most deserving individual --- Dr. Hossein Arsham. Fellow, FWIF, The World Innovation Foundation: Scientific Discovery, Awarded in 2001. Fellow, FICA, The Institute of Combinatorics and its Applications, awarded in 1992. Fellow, FOR, The Operational Research Society, awarded in 1985. Fellow, FRSS, The Royal Statistical Society, awarded in 1984. ACM, Association for Computing Machinery, since 1988. AMS, American Mathematical Society, since 1991. ASA, American Statistical Association, since 1990. AUAI, The Association for Uncertainty in Artificial Intelligence, since 1999. ATM, Association of Teachers of Mathematics, since 1988. DSC, Data Science Central, since 2011. DECUS, Digital Equipment Computer Users Society, since 1983. E-SIG, Environmental SIG, since 2001. IASTED, International Association of Science and Technology for Development, since 1990. IEEE, The Institute of Electrical and Electronic Engineers, since 1989. INFORMS, Institute For OR/MS, since 1983. ISACA, Information Systems Audit and Control Association , since 1983. ISDG, The International Society of Dynamic Games, since 1990. LMS, London Mathematical Society, since 1993. MAA, The Mathematical Association of America, since 1989. MPS, Mathematical Programming Society, since 1982. MORS, Military Operations Research Society, since 1989. NYAS, The New York Academy of Sciences, since 1990. PMA, Performance Measurement Association, since 2001. SCUP, Society for College and University Planning, since 2002. SDS, System Dynamics Society, since 2001. SIAM, The Society for Industrial and Applied Mathematics, since 1989. SIM, Society for Information Management, since 1990.